A novel nitrous oxide (N2O) cryotherapy device freezes the lining of the uterus in order to significantly reduce future menstrual bleeding. 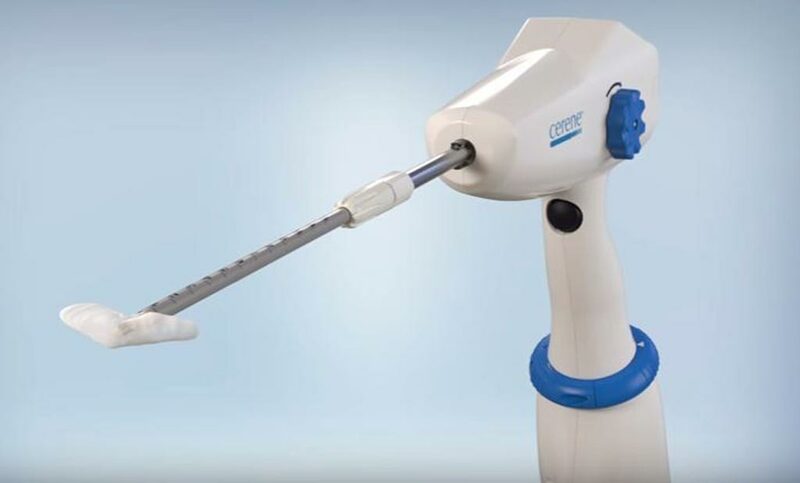 The Channel Medsystems (Emeryville, CA, USA) Cerene cryotherapy device is indicated for endometrial cryoablation in premenopausal women with heavy menstrual bleeding due to benign causes, and for whom child bearing is complete. The cryothermic energy is provided by a liquid-to-gas phase change of N2O; during the 2½ minute treatment cycle, liquid N2O delivered from a small cylinder located in the device handle flows through a delivery line and into an inflow line with multiple jets. The liquid N2O is infused into an ultra-thin polyurethane liner, where it converts into gas and is exhausted from the bottom of the handle. Image: The Cerene cryotherapy device is designed to reduce menstrual bleeding (Photo courtesy of Channel Medsystems). An exhaust collection bag transfers the gas to the conformable liner that enables close coverage of the irregular surfaces of the uterine cavity and provides an effective thermal transfer. 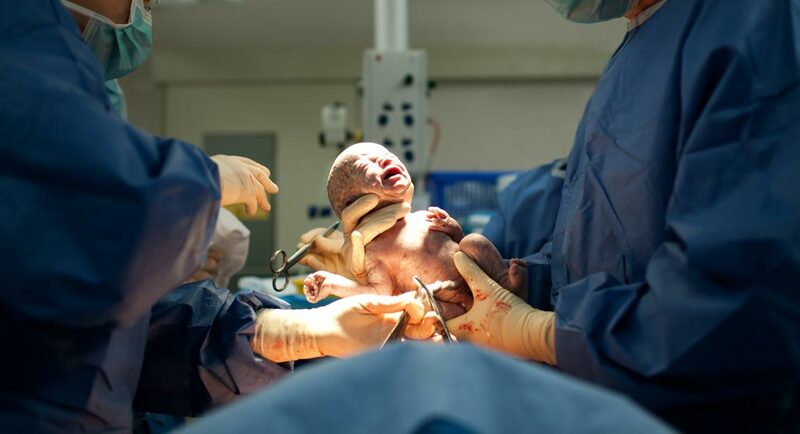 Prior to cryotherapy delivery, the liner is inserted into the uterine cavity to the appropriate length--between 2.5 and 6.5 cm, based upon prior uterine sound measurements--inside a thermally insulating sheath. Once in position, the user rotates a knob to retract the insulating sheath; the retraction also controls the number of eventual N2O jets exposed within the liner. The liner is gradually pressurized with filtered air, deflated, and re-pressurized a second time. Once a final leak detection test is completed, N2O flow is automatically initiated. After 2½ minutes, N2O flow is stopped and the user is prompted to rotate a twist ring to vent the remaining gas. The uterine cavity is allowed to thaw, and vacuum is initiated within the liner to expedite device removal. After use, the entire device and the exhaust collection bag are disposed of. Sequential operating instructions and device status are continuously displayed on the device’s LCD Screen. Cryoablation, the use of extreme cold to destroy tissue, is a well-characterized, durable therapy routinely used to ablate malignant and benign cardiac, liver, breast, and prostate tissue, among others. In the uterus, the use of cryothermic energy has been shown to reduce the likelihood of scarring and intrauterine adhesions that are often associated with heat-based treatments, which may contribute to the development of long-term complications, including re-operation and, ultimately, the failure of endometrial ablation.